We are the top American Red Cross Authorized Provider/LTP Organization that has been in business since 2002. Our classes are made to be stress free and our instructors make it a really fun time!! We provide the best hospitality and the finest learning experience possible! That is what sets us apart from the others!! We have a saying here......"Compress to Impress"! As an EMT, Nurse (RN), firefighter, athletic trainer or lifeguard, it is your duty to respond to cardiac or breathing emergencies until more advanced medical personnel can take over. 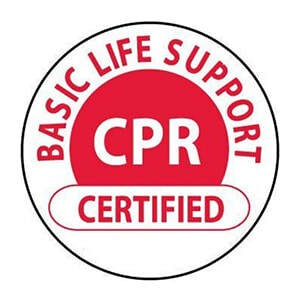 Basic Life Support for Healthcare Providers (BLS) is designed to train professionals to respond to cardiac and breathing emergencies for adult, child, and infant victims. Consistent with the 2015 AHA Guidelines for CPR/ECC, BLS is the foundational CPR/AED program typically required for healthcare providers and public safety professionals. Through the use of lecture, skills demonstration and practice, case-based emergency response scenarios, and reflection and debriefing activities with a focus on team-based response, BLS builds the key critical thinking, problem solving, and team dynamic skills that are needed to drive better patient outcomes. What these classes include -- Personal Protective equipment - CPR face shield, Nitrile Gloves, Certification Fee, Digital Copy of the participants manual) In all of our classes we use high quality equipment that meets all American Red Cross Standards. Be vigilant for organization that take the cheaper way around this.